Example was one of a number of British artists who soundtracked our summers between 2008-2012. 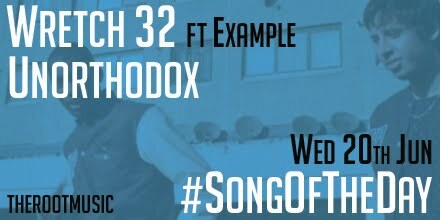 As he celebrates his 35th birthday, we’re using #SongOfTheDay to remember one of the best bangers of the aforementioned era, Wretch 32’s Unorthodox featuring the birthday boy. Posted in UncategorizedTagged Example, Wretch 32Bookmark the permalink.